Youth from Mallalieu United Methodist Church in St. Martinville traveled to Dillard University in New Orleans for the school’s Junior Preview Day, held April 11. Rev. 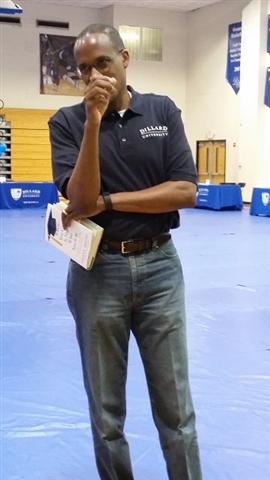 Valla Johnson, pastor, treated the youth to the trip to introduce the students to Dillard as a possible option in their higher education plans. The youth, ranging from ninth grade to 11th grade, were accompanied by their parents. The group enjoyed a personal welcome from Walter Kimbrough, Dillard president; a general overview of university programs by admissions personnel; a tour of campus buildings, including the famed "Avenue of the Oaks"; a meal in the cafeteria; and a tour of available living quarters. “The response was very positive, and though it is a little early for some, Dillard just may have won over the hearts of some of Mallalieu's finest,” said Rev. Johnson.